Here's what's going on Talk Amongst Yourselves, our reader-written blog: Cimeas thinks we don't need pseudo-intellectual BS in games criticism. NotGoodForYou compares Starbound and Terraria, because you kind of have to. Carter Brownlee thinks that 2013 is the best year of the outgoing generation. And Stormborn gets back to drawing Pokémon. 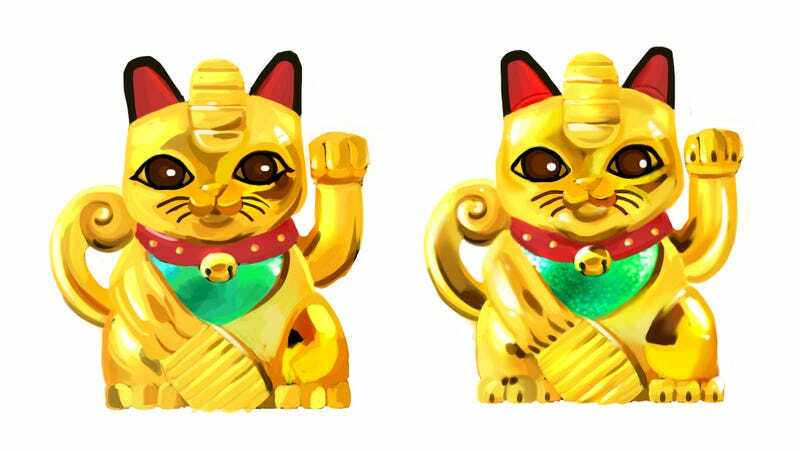 This time, it's Team Rocket's sassy feline done as a maneki neko. Huzzah! Don't forget that you can always go join the voices talking about video games and life in TAY Classic and in the TAY: Open Forum.